The two scientists discovered that an encounter with a passing third star may squeeze the binary pair together, expanding the habitable zone in the process. Their results appear in a new paper in the journal Monthly Notices of the Royal Astronomical Society. 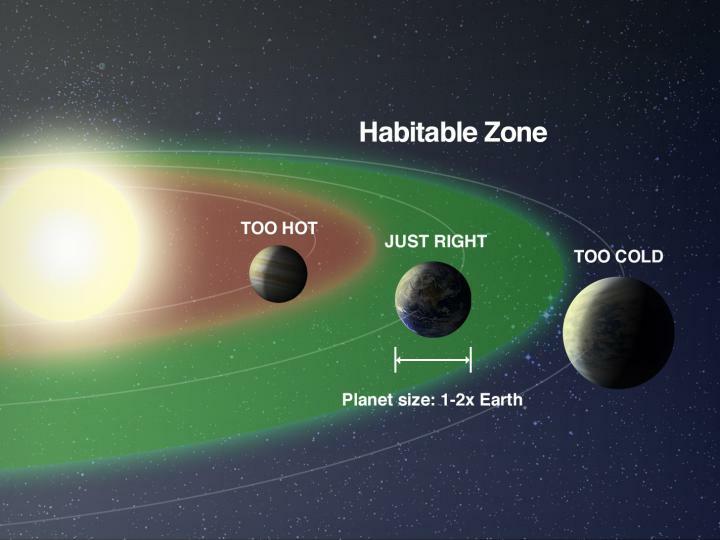 The habitable zone, sometimes called the ‘Goldilocks zone’ as the temperature is not too hot and not too cold, is thought to be essential for the development of life on a planet. If a planet lies outside this zone, then the formation of the complex molecules needed for life is less likely to happen. Around one third of stellar systems in our galaxy are thought to be made up of two or more stars, and this fraction is much higher when stars are young. If these stars are a relatively large distance apart, the size of the Goldilocks zone around each star is governed by the radiation from the individual star. If the two stars are closer, the size of the Goldilocks zone increases because each star feels additional warmth from the other and this increases the likelihood of a planet being located in the right place for life to develop. Wootton and Parker looked at how this changed in stellar nurseries. They used computer simulations to model the interactions between young stars in these clusters, calculating how these encounters affected the binary pairs. In a typical stellar nursery with 350 binaries, the two researchers found that 20 would have their stars squeezed together, and their Goldilocks zones then expanded. In a few cases, the habitable zones of widely separated stars actually overlapped, further increasing the prospect of any planets in orbit around one or both of the stars being in the right place for life to develop. The next steps for this research are to use more computer models to understand whether the negative processes a young star experiences are outweighed by the positives. Parker and his research team are currently exploring whether internal heating within the Earth happens because our young Sun was born close to a supernova explosion of a massive star; this explosion would be catastrophic for life on Earth today, but may provide the necessary conditions for life to have developed on Earth in the first place.